Luis Nery is officially persona non grata in the Japanese boxing scene. 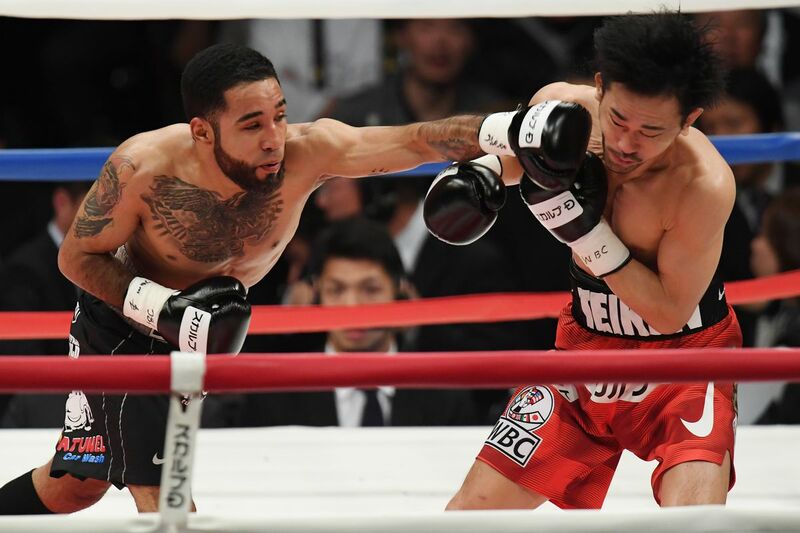 ESPN is reporting the Japanese Boxing Commission has officially suspended Luis Nery indefinitely for failing to make the 118lb weight limit in his mandated rematch with Shinsuke Yamanaka at the beginning of the month. Nery originally weighed-in at 123lbs for the fight and only got down to 121 with a little extra time. The fight would go ahead anyway, though, and Nery lit up Yamanaka early, dropping him four times en route to a second-round knockout. And in its announcement the JBC stated it was “a notorious incident that seriously damaged the social reputation of the sport of boxing”. Nery has already been indefinitely suspended by the WBC as well, whose bantamweight title he was supposed to be defending in this rematch, but was stripped off as soon as he couldn’t make the required weight limit. All that tainted beef must’ve really caught up to Luis Nery, who was unable to hit the 118lb limit for his mandated title rematch with Shinsuke Yamanaka. ESPN reports that Nery first stepped on the scale at 123lbs, five pounds over the weight limit, with Nery then given two hours to try again, only managing to get down to 121lbs. Nery was then immediately stripped of his WBC bantamweight title with it being declared vacant. Yamanaka weighed-in just under the limit at 117.5lbs, and now only Yamanaka will be able to gain the title with a win in this fight. The WBC apparently couldn’t prove otherwise, so didn’t strip Nery of the title, but did order him to fight Yamanaka again. The Mexican Luis Nery, nee Luis Esteban Neri Hernández’s tainted meat claim is a sharp reminder of the recent similarly claim made by Mexican Canelo Alvarez , in the run-up to his May 5 (Cinqo de Mayo) rematch with GGG.